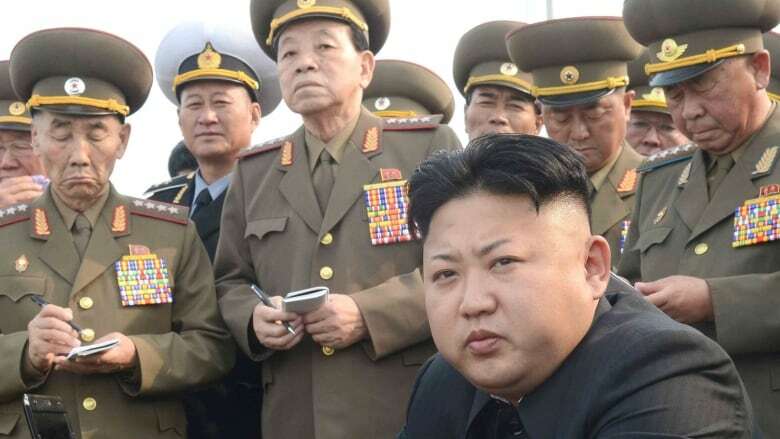 The United States is reviewing whether to put North Korea back onto its list of state sponsors of terrorism, President Barack Obama said as the U.S. decides how to respond to the cyberattack on Sony Pictures Entertainment that law enforcement has blamed on the communist nation. Obama described the hacking case as a "very costly, very expensive" example of cybervandalism, but did not call it an act of war. In trying to fashion a proportionate response, the president said the U.S. would examine the facts to determine whether North Korea should find itself back on the terrorism sponsors list. What's Obama going to do about the Sony cyberattack? Should The Interview be shown in theatres? "We're going to review those through a process that's already in place," Obama told CNN's State of the Union in an interview to air Sunday. "I'll wait to review what the findings are." North Korea spent two decades on the list until the Bush administration removed it in 2008 during nuclear negotiations. Some lawmakers have called for the designation to be restored following the hack that led Sony to cancel the release of a big-budget film that North Korea found offensive. Only Iran, Sudan, Syria and Cuba remain on the list, which triggers sanctions that limit U.S. aid, defence exports and certain financial transactions. But adding North Korea back could be difficult. To meet the criteria, the U.S. State Department must determine that a country has repeatedly supported acts of international terrorism, a definition that traditionally has referred to violent, physical attacks rather than hacking. Is Sony setting a dangerous precedent by pulling The Interview? Obama also levelled fresh criticism against Sony over its decision to shelve "The Interview," despite the company's insistence that its hand was forced after movie theatres refused to show it. While professing sympathy for Sony's situation, Obama suggested he might have been able to help address the problem if given the chance. "You know, had they talked to me directly about this decision, I might have called the movie theatre chains and distributors and asked them what that story was," Obama said. Sony's CEO has disputed that the company never reached out, saying he spoke to a senior White House adviser about the situation before Sony announced the decision. White House officials said Sony did discuss cybersecurity with the federal government, but that the White House was never consulted on the decision not to distribute the film. "Sometimes this is a matter of setting a tone and being very clear that we're not going to be intimidated by some, you know, cyberhackers," Obama said. "And I expect all of us to remember that and operate on that basis going forward." North Korea has denied hacking the studio, and on Saturday proposed a joint investigation with the U.S. to determine the true culprit. The White House rejected the idea and said it was confident North Korea was responsible. But the next decision — how to respond — is hanging over the president as he vacations with his family in Hawaii. Obama's options are limited. The U.S. already has trade penalties in place and there is no appetite for military action. Sony cyberattack: what is Obama going to do about it?